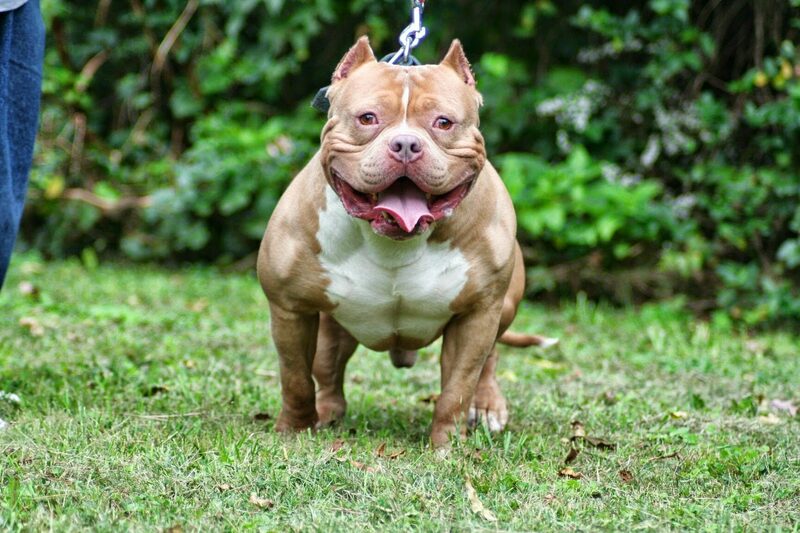 If you really want to know how to make your pitbull muscular then, Building Muscle in pitbulls consists of the right exercises, diet, and supplements. Humans build muscle by using the same concept. A high protein diet, weight training, and exercise, are the key elements in getting your pitbull ripped. 1. Proper Diet. Body builders agree that 80% of building muscle is done in the kitchen. This is no different for dogs. 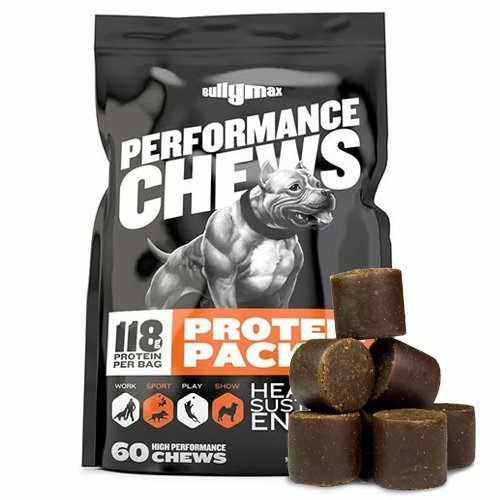 A high protein diet consisting of a premium dog food and a quality dog supplement is crucial for building muscle and giving your dog that ripped look. Your dog’s diet should consist of 40% Protein, 40% Carbs, and 20% fat. Feeding your dog 6 small meals a day will put them in an anabolic muscle building state and ensure they are getting the best possible diet for building muscle. 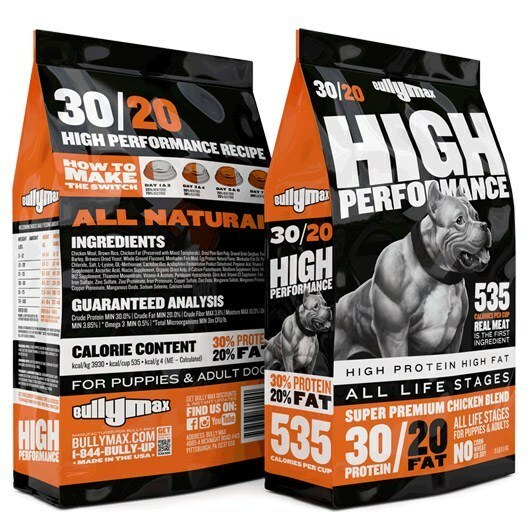 Bully Max 30/20 High Performance Dog food was designed specifically for working breeds like the American Pit Bull. 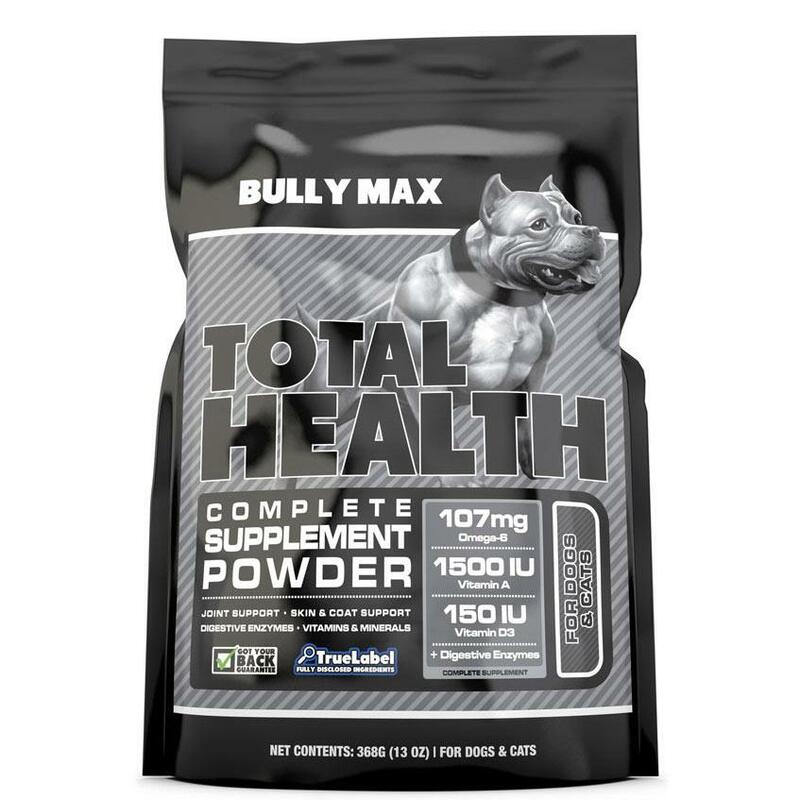 No other dog food packs on more muscle or provides calories per cup. 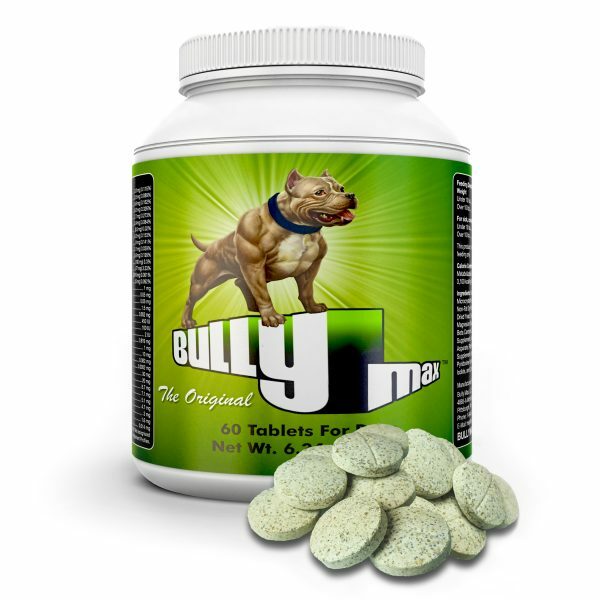 Each cup of Bully Max 30/20 contains approximately 535 calories. Measure out the amount of dog food that your dog should eat in 1 day by following the recommended amount on the bag. 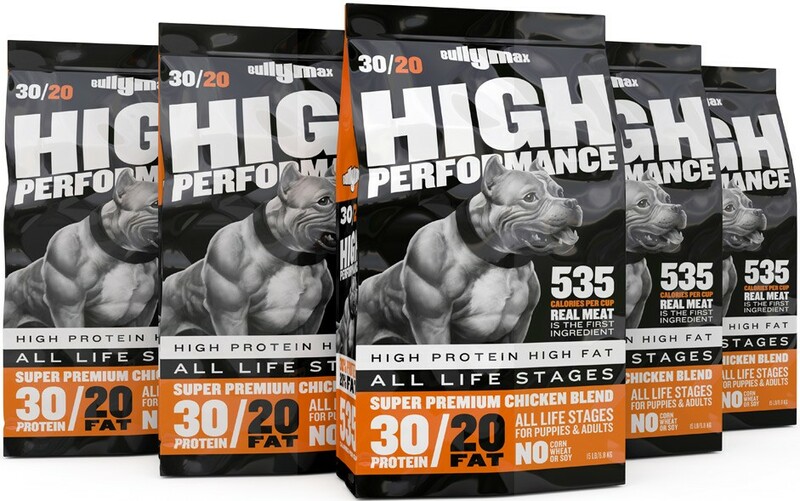 Recommended dog food: Bully Max 30/20 High Performance Dog food. Break this amount up into 4 parts. Add boiled chicken or fish along with the proper dog supplements for building muscle to this diet. 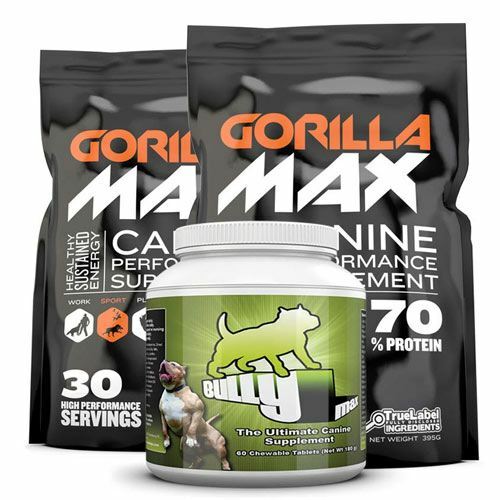 Feed 1/4th of the recommend amount of food for the day along with a scoop of Gorilla Max, 1 Bully Max Tablet or a scoop of Bully Max Plus. Feed 1/4th of the recommend amount of food for the day. 6 pm Feed 1/4th of the recommend amount of food for the day. and a scoop of Gorilla Max, 1 Bully Max Tablet or a scoop of Bully Max Plus. 2. Exercising your dog. While diet plays the biggest role in building muscle in dogs, you must exercise your dog as well. By preforming actives such as weight pulling, running up hills, and using spring poles, your dog’s muscles are being torn. After their muscles are torn, they will rebuild and repair themselves. With the proper diet (shown above), they repair themselves stronger and bigger than they were before. This is how muscles are built. Without the proper diet, it’s impossible for them to repair & rebuild. One of the easiest ways to keep your dog active is by installing a simple spring pole in your yard. If the dog has the drive, they’ll work for hours hanging and playing from a spring pole while getting ripped in the process. Some other great exercises for building muscle: Flirt poles, weight sleds, & weight vest. 3. High Intensity cardio training. When it comes to building muscle in your dog, you want to avoid 2 hour long walks, or long hours of cardio activities. These activities will burn your dog’s muscle off instead of build it. You want to stick to cardio exercises like sprints, running up bleachers / steps, or running up hills for short periods of time. A high intensity cardio work out for 10-15 minuets a day is sufficient. You can also use a weight vest when preforming these exercises to intensify the workouts. This is How To Make Your Pitbull Muscular, in the most safe & effective way. Follow these guide and you have a ripped pit bull in no time at all.